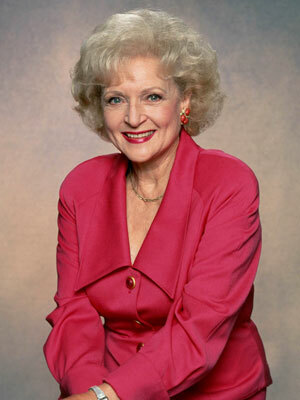 Known today as one of "The Golden Girls", Betty White has woven her golden thread of love for many years. Her lifelong interest in animals led to her production of the television series, "The Pet Set", which she created, wrote and hosted. She also had a daily radio program, "Betty White On Animals". Betty served for three years as President of the Morris Animal Foundation, a national research oriented group dedicated to improving the health of companion animals. She has also served on the Greater Los Angeles Zoo Association Board of Trustees. Betty White is the author of the book, "Betty White's Pet Love" - how animals take care of us. Betty White is well known and greatly loved for her many charitable commitments. She works tirelessly to raise money for animal disease research. As an actress, Betty White has worked in radio, television and film. Some of her fondly remembered shows include "Life With Elizabeth", "The Mary Tyler Moore Show", the talk show, "Just Men! ", all produced Emmys for her. Today she stars on "The Golden Girls". Betty and her co-stars on "The Golden Girls" have given new meaning and renewed excitement to the phrase 44 older women". This Emmy Award winning show is one of the most successful television shows in existence. Betty White is a vital reason why it is so successful.